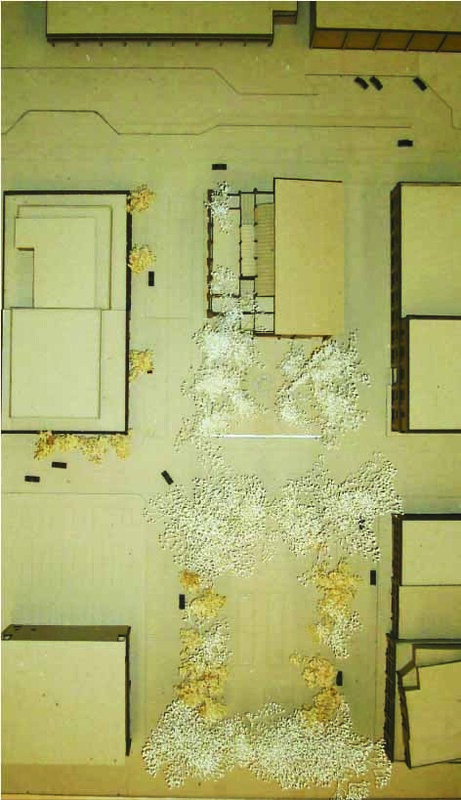 My presentation for the Eranos Institute included a massive site model for the surrounding section of the Portland Park Block’s neighborhood as well as two models of the institute itself. 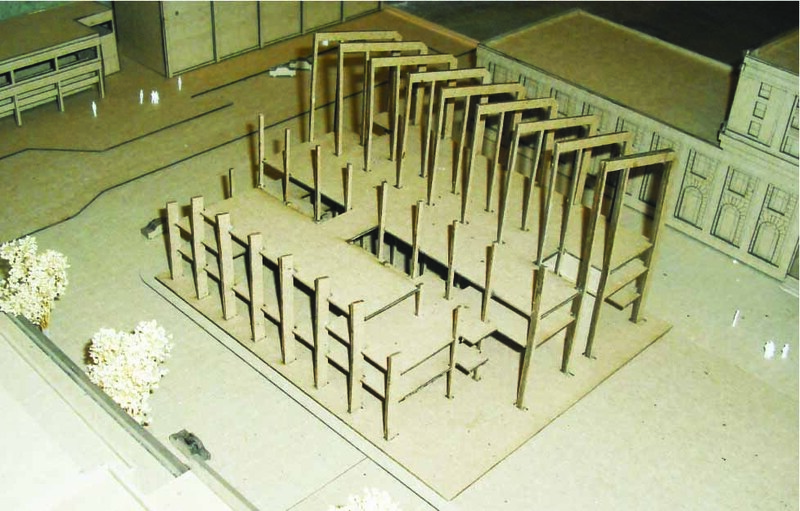 These models were constructed in several phases. 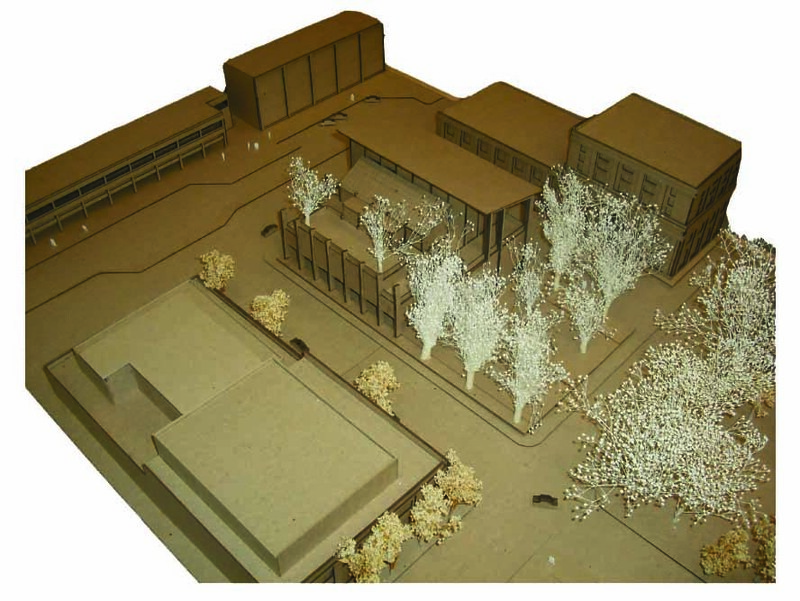 The neighborhood and the Institute were built in a combination of 3D modeling programs. Vector information was then exported into Adobe Illustrator and manipulated to create specialized pdf documents which could be used to control a computerized laser cutter.